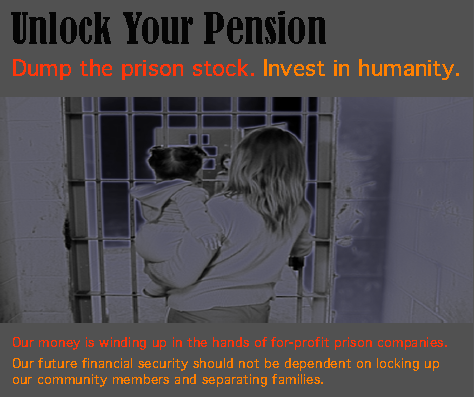 Too many public pensions are directly invested in the private prison industry. The future financial security of teachers and public employees should not depend on separating families and locking up our community members. Read Unlock your Pension and learn how to start divesting today!